In the realm of European employment law, tension exists between the concepts of ¿economic policy¿ and ¿social policy.¿ During recent years, a growing tendency to emphasize the ¿economic¿ at the expense of the ¿social¿ can be discerned. 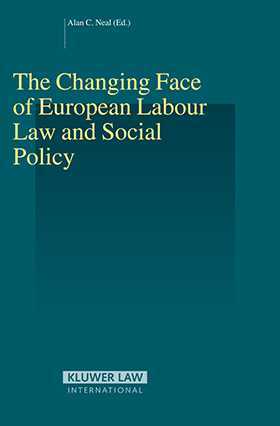 What this trend gives us¿in the views of the leading figures in the field of European labour law and social policy whose considered analyses are presented in this volume¿is a regime of ¿grand declarations¿ about workers¿ rights, but with extremely limited enforcement potential. Invaluable appendices include a report, as presented by the late Marco Biagi, of a high level group on reform of the European labour market; the text of the Social Policy Agenda, as approved at the Nice Summit of 2000; and the Commission¿s ¿scoreboard¿ on the implementation of the Social Agenda as of 2002. With its down-to-earth analysis of the current status of the 'floor of rights' in the European work environment, The Changing Face of European Labour Law and Social Policy will be of inestimable value to all practitioners and scholars seeking to improve the quality of life for Europe¿s working population and the quality of regulation at the disposal of those charged with confronting the new challenges to social policy resulting from the radical transformation of Europe¿s economy and society. 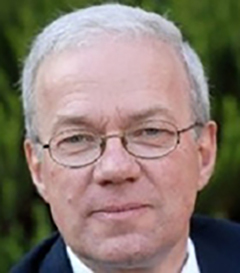 In Memoriam: Marco Biagi (1950-2002); R. Blanpain, The European Union and its Social Policy in a Global Setting: Looking for the ¿European Social Model¿; J. Rojot, European Collective Bargaining: New Prospects or Much Ado About Little? ; M. Weiss, The European Community¿s Approach to Workers¿ Representation: Recent Developments; R. Birk, Human Rights at the Workplace and the Work of the Council of Europe; A.C. Neal, Fundamental Social Rights in the European Union: ¿Floor of Rights¿ or ¿Race to the Bottom¿? ; N. Bruun, The New Legal Framework for Equality in the European Union; A.C. Neal, Providing ¿Teeth¿ for the Right to a Safe and Healthy Working Environment? : Appendices: I. Report of the High Level Group on Industrial Relations and Change in the European Union (Terms of Reference and Executive Summary). II. Social Policy Agenda. III. Scoreboard on Implementing the Social Policy Agenda.